Weber Air Filter for IDF Carburetor, price is for 1 filter, for twin carbs please order 2 filters. Fits on Weber IDF 40 / 44 /48 carburetors. Made by #304 Stainless Steel. The “ 5 Bolts “ Locking on Top Plate, retain classic style. Maximum tighten to 5 N.M. on all bolts. Build-In Rivet, to the best details ever. Build-in High Breathable Polyfoam for maximum air flow, allow the air to pass freely without drop in pressure. 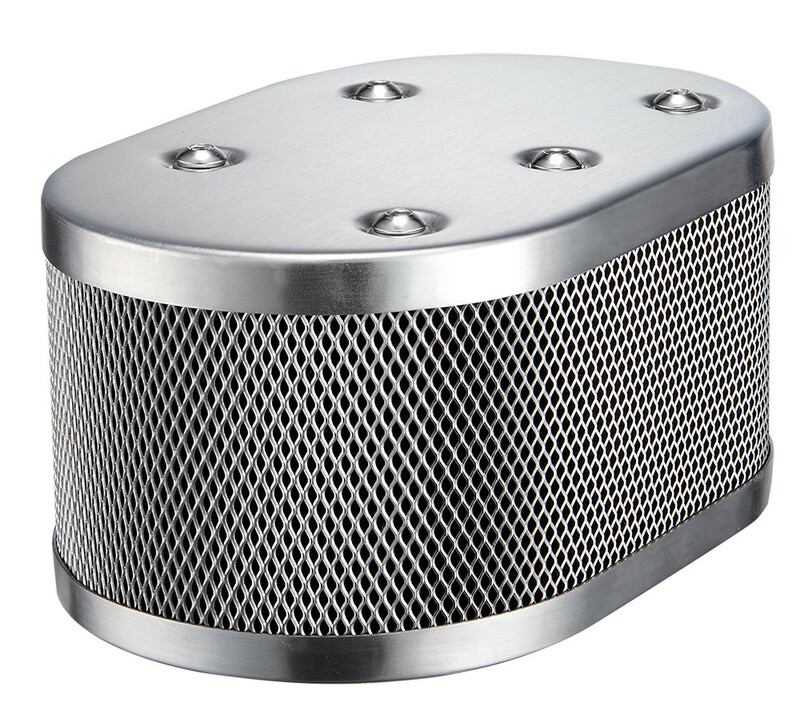 also can be fitted with other different air filter in 3 1/2 inch hight. The inner 4 tubes are threaded, and link for upper and lower stainless steel plates. The direction of the tubes are shorter Hex screw on top and longer at bottom. There is very little gap(s) between the inner tubes and the stacks, adjust is if necessary. If there is no gaps, then grind little off on the stacks.